Andy Cotgreave is one of the speakers for this year edition of Big Data Week Conference. 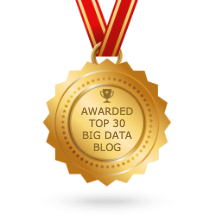 This article opens a series of interviews with Big Data Week Conference speakers. Big Data means anything to anybody specially if you are like me, in marketing department. In 2015 we have more data then before and more technology then we had before, but those are a still a little behind where we want to take it. According to a 1914 data visualization book “million of dollars are spent each year in the complexion of data with the assumption that having the data will make us able to change and understand the thing that it’s being measured” – now, have we heard something similar nowadays? For me Big Data captures something that will always exist, a continuation of the norm. How could companies tap into the data potential value? – Start with what you’ve got, just at least start. Everybody should be able to deal with data, small or big data. Most people don’t even see it most often as a big data only as a problem/question they would like to solve. But, especially if you’re a small to medium business, once you’ve got loads of unstructured data it gets extremely expensive to look at it and make sense of it: people and tools wise. Thus, the best is to make that effort to structure your data as early as you can – most of the times these companies start with a few questions that could be solved easily by just filling the data in excel and then visualize it. You can then evolve to more complex architectures. Main challenges in starting with data is that people are still intimidated by data, by the complexity of it and not knowing where to start. Data should be an influencer in decision making, but not to the extent of abandoning your intuition and wisdom in decision making. An example would be social media engagements that can be measured today through so many tools and many strategies can be tried out based in these – but especially if your data is about people then intuition still needs to be applied. Main challenges when starting to look at data – overwhelmed by the complexity of it. I believe most individuals get overwhelmed when realizing the data is not clean and not ready to be analyzed. Getting data in shape is one of the most important steps in getting started and then all the analytical tools existing out there should be easy to use in order to do this. With Tableau for example people are amazed of how easy is to import data and have some analysis started. There’s such a scarcity when it comes to data professionals, how do you see this solved. – A combination of questions, right tools and dedicated people. Any organization needs to look at the employees that they have and their business questions that can be answered with data. The closer they can get to answer those questions by themselves that’s the best beginning of the data path for a company. Get those people easy tools that can give them some answers and that is the best an organization can do in order to start the data journey. Data professionals & Data scientists can do amazing things but in more complex scenarios. Your presentation at Big Data Week conference “You’ve got your insight data, now what” what do you expect from your audience? – Avoid some of the pitfalls. The presentation is aimed at people that are just getting started or have recently begun their analytics journey. Once they’ve got your data there are so many classic pitfalls people are falling into and I will provoke my audience a bit and give them some ideas about how to avoid those. 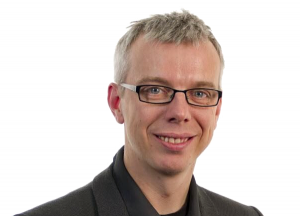 Andy Cotgreave is a visual analytics expert who has been with Tableau in various roles since 2011 ranging from product consultant to product marketing to his current role as Senior Technical Evangelist. Prior to Tableau he was a data analyst at the University of Oxford. As a technical evangelist Andy helps people see and understand their data using Tableau’s innovative products. He shares his passion for visual analysis and technology with his writing (eg The Huffington Post, on tableau.com and his own blog), speaking at industry conferences like SXSW and Tableau’s own events.